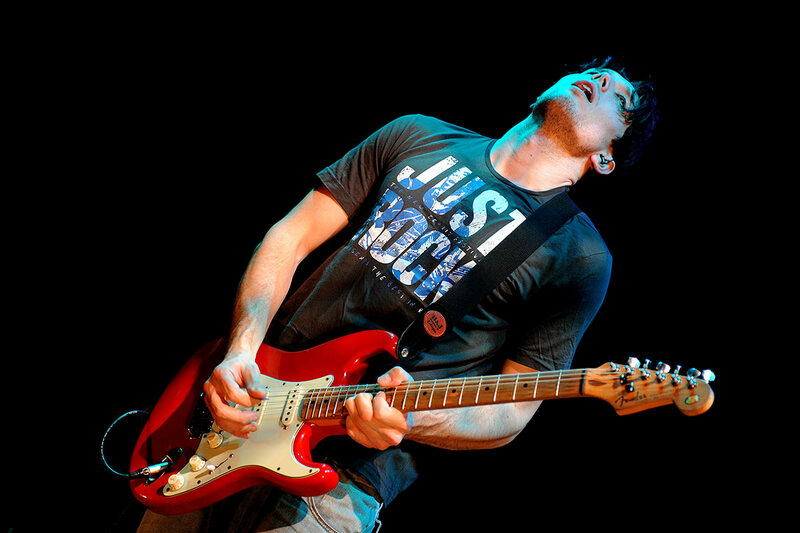 They say that when explosive natural ability collides with fiery, emotionally charged compositions, the result is Aynsley Lister – and you can experience his power and passion on 21 July 2018 at The Meeting Room Elland – close up and personal at this unique and accessible local venue with a lively atmosphere and great acoustics! With over 100,000 albums sold, lashings of critical acclaim and years of high profile touring, Lister’s resumé speaks for itself and firmly secures his position as a leading light in the resurgence of British blues-infused music. He’s the only British artist to be named in Classic Rock magazine’s “Top 10 Contemporary Blues Artists”, alongside John Mayer and Joe Bonamassa. Aynsley’s an incredible guitarist whose brand of blues-based rock delivers contemporary song writing fuelled with real heart and soul. Whether passionately writing and recording his own material or mesmerizing audiences at his live shows, one thing is abundantly clear: music is hard-wired to his DNA and flows from his fingertips like sonic bolts of lightning! Blazing a trail in a bar band from the age of 13 honed his skills, whilst his dynamite live shows and intense touring schedule have earned him high profile support slots with established artists like Walter Trout, John Mayall and Robert Cray, with rousing festival appearances alongside artists like the Fun Lovin’ Criminals. Firmly rooted in the blues, his work transcends the genre with a fiery modern sound – don’t miss out on this gig, secure your tickets now. Supporting Aynsley at The Meeting Room Elland is Angelo Palladino, whose pedigree with his band The Palladinos covers touring with Sting around the UK, Europe and the US, including concerts at London’s Royal Albert Hall and New York’s Madison Square Garden, and supporting Squeeze at venues around the UK and Europe. Blues music is Angelo’s calling and reviews for his live shows are always enthusiastic – he’s an excellent live performer with an impressive history of high level collaborations including Carole King, Ted Nugent and The Bangles. Influenced by the likes of Buddy Holly, Elvis Presley and guitar players like Steve Cropper of Booker T and the MGs, he has a rhythmic style and plays a mean harmonica as well!